The Indian court determines that Salman Khan the Bollywood superstar is guilty as charged for driving his car under influence and running over street dwellers sleeping on footpath. This incident 12 years ago killed one person, another person lost his leg and some were injured. The long justice process, the verdict and the reactions of many of his film fraternity after the verdict is in the news. I like Salman movies, but in this regard I am not with him…. The star and his people tried hard to prove that he was not behind the wheel, but his driver. 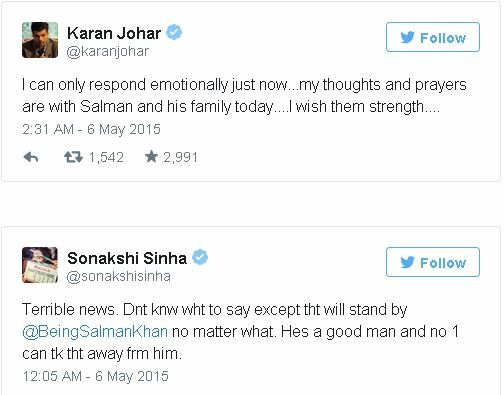 One of the prime witnesses in the case was Salman’s own body guard whose statement was also taken into consideration. Sadly Ravindra Patil succumbed to TB in 2007. There is also a very sad story of his which tells how he was disowned by his own and died for standing strong on his statement. Did Sallu have anything to do in it… May be not… but the fact is that Ravindra also found himself on the wrong side of the road on which sallu bhai was driving…. The verdict I am sure is appreciated by everyone who believes that justice is served, that all are equal before law. But the accused is not a common man but a big star with a big following, so there are many fans who find all irrational reasons to feel their hero has not wronged. Not justifying the act but pleading for clemency. Why? 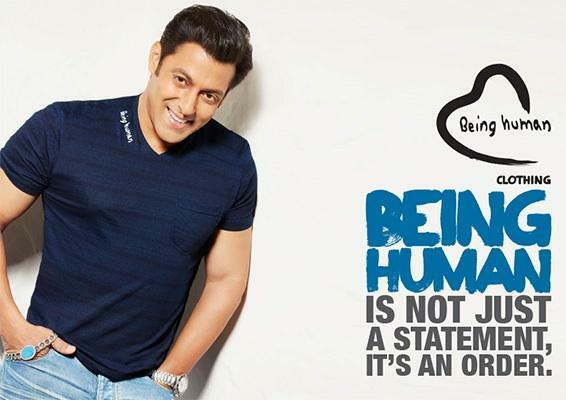 Salman is known for his generosity in terms of donations, social work and his famous “Being Human” initiative. The argument from many fans is he is doing so much good things. They keep repeating it as if that should be considered while passing the judgement. Should it? I don’t think so, but I guess many fans disagree. Now when Salman Khan goes to jail it is a loss of close to $30 million for the industry as per some sources. That is a big hit to the industry and many people who have put money in the actor. Same was the case with Sanjay Dutt, though he was not at his peak like Salman. That might be the reason the fraternity comes forward. I would love to hear what Puru raajkumar has to say. He is the eldest son of legendary bollywood actor Raajkumaar. He was also arrested in a hit and run accident in which several sleeping pavement dwellers were killed, although he was never convicted for the same. His accident had killed three people, labourers sleeping after a day’s work. Puru apparently is free even now and since Sallu verdict comes let us get Puru to pay as well. I do not personally know Sallu Bhai to say what kind of person he is, but have heard from people who know him saying he is a good person. But a crime by a good person is as grave as that by a bad person. when you drink and drive and kill someone, it is never an accident, it is a crime. This is not the only time Salman has had his brush with the law. He is known to be short tempered and the way he reacts to people he does not like is not the way we would do. Doing good for people but going to any extend to fight/hurt people you do not like is not a great trait.. well I am looking around where Vivek oberoi is…. Sorry Sallu, this time this Mallu is not with you…. Show the world what it means “Being Human” Own up and be human. Sorry I have no sympathy for you for what happened and I think no one should here.. Drinking and Driving is a crime and doing that you also took a life. That for me is guilty and I am happy about the judgement. But yes you can appeal, that is the process… but till we have more evidence to prove you did not do it… Sorry Sallu Bhai, This Mallu is not with you.